On sale now at Chevrolet of Naperville, the 2017 Chevrolet Colorado LT pickup trucks offer Naperville, IL drivers access to two cab sizes, two bed sizes, a standard 2.5 L I4 engine, both 2WD and 4WD drivetrains, a six-speaker audio system with Chevrolet MyLink and 8-inch diagonal color touchscreen interface, rearview camera, remote keyless entry, and so much more. Find your favorite configuration then keep reading to see why for all things Chevy truck, Chevrolet of Naperville should be your first stop. Finance the 2017 Chevrolet Colorado LT today! Finding the perfect 2017 Chevrolet Colorado LT pickup trucks for your Naperville, IL adventure is just one reason to visit Chevrolet of Naperville. Drivers can now also take advantage of the Chevy Upgrades Program, which allows shoppers to take advantage of lower interest rates, reduced monthly payments, and service rebates for those who qualify. 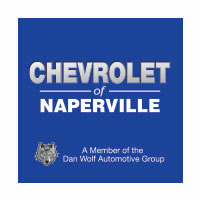 So, whether you need access to the impressive power of the midsize Chevrolet Colorado, a full-sized people hauler like the Chevrolet Suburban, or the zero-emissions efficiency of a new Chevrolet Bolt all-electric car, you’ll find the transportation you need and easy financing options Chevrolet of Naperville. And, when it comes time for service you can trust, our state-of-the-art service center can take care of that as well with technicians who have the training and know-how to keep today’s more complex vehicles in top working order. Contact an associate to learn more and upgrade your Naperville commute today.